If you could get nicer things for cheaper, wouldn’t you? Staying together in an Airbnb is often much less than the cost of a hotel in the same city. After all, hotels cost a lot to build and staff, and that gets built into the price. Hostels, on the other hand, might seem like the least expensive option for travel couples. Except when you start price checking, you’ll realize that private rooms in a hostel usually cost more money than renting a private room or small private apartment through Airbnb. Even if your plan is to reserve two single beds in a mixed dorm, the price of those combined is often more than what you’ll pay together for your own Airbnb. Plus, if it’s your first time using Airbnb, you can get $40 in free travel credit when you sign up! You might have thought that staying in an Airbnb means staying in your host’s spare bedroom, but not anymore. The rentals can range from shared apartments to stunning private villas in the Tuscan countryside. Of course, if you’re using Airbnb to keep your costs down, that’s probably out of your budget. Still, you can find great deals on the site. Enjoying the amenities together is one of the best parts of staying in an Airbnb. Sure, when you stay in a luxurious hotel, they’re full of amenities. But when you’re on a budget, the hotels and hostels you can afford are not. That’s when staying in an Airbnb has an advantage. If you opt for a private room, staying at the same property as your host can offer more perks than the low price. The superhosts often go out of their way to treat you, from a bottle of wine waiting in your room to a full, cooked breakfast with homemade banana pancakes every morning. 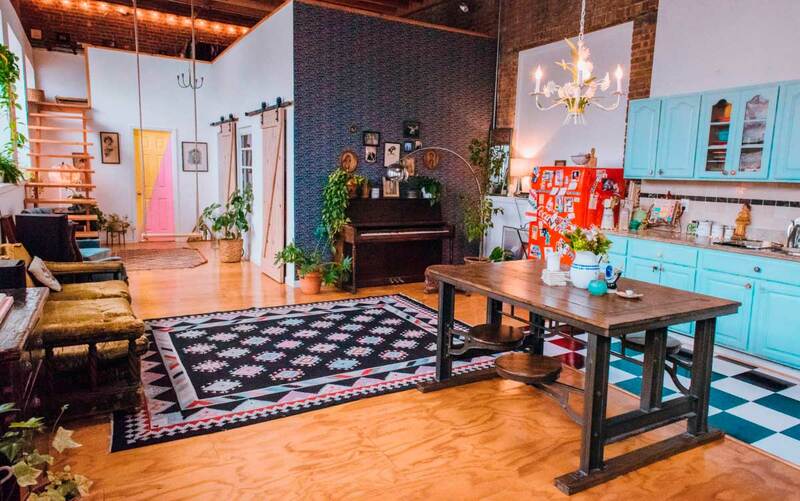 But when you book your own apartment, you can often book your own beautiful spaces. 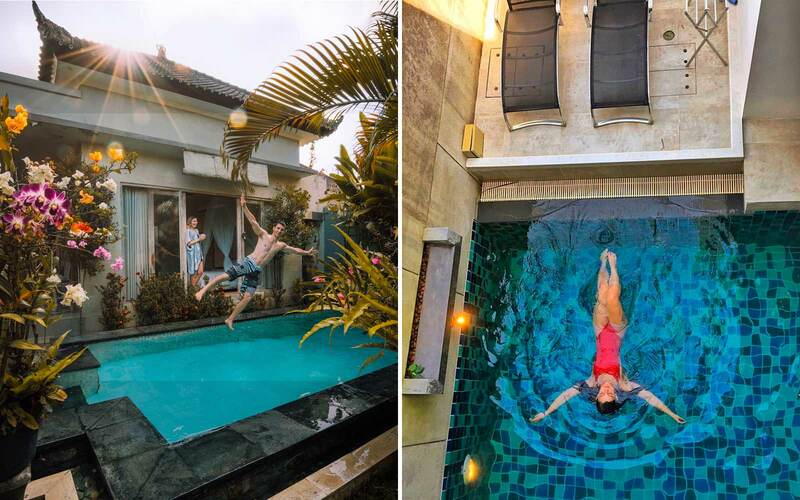 You can find private terraces, or in destinations like Bali, you can snag private pools. You can have a full kitchen to enjoy (and save money by cooking meals together). Even a cute little studio apartment will feel decadent compared to a bunk bed. Moreover, enjoying the amenities will allow you to relax together amidst your busy adventure. 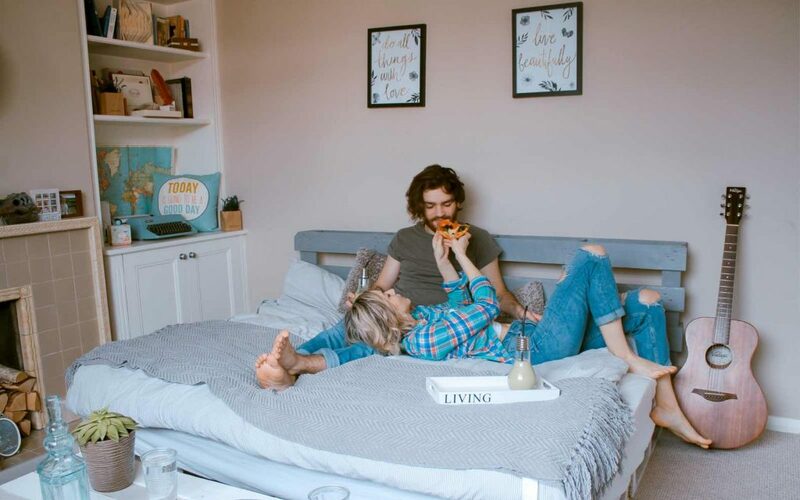 After exploring all day with the crowds of other tourists, and pulling out your wallet for every activity, the amenities of your Airbnb will feel like a private oasis built just for the two of you. Airbnbs aren’t just a great deal because of the price, but because of how much space you get for what you’re paying. Hostels are tight quarters. When staying in your standard 12-bed dorm, you get one bunk to yourself, right next to where a stranger is sleeping. Then you might have to wait to use communal showers before bumping elbows on a couch in the crowded common room. When traveling together, you’ll want space to unwind after a long day of sightseeing. That’s when you’ll appreciate having extra space and being able to spread out. Instead of feeling cramped with your bags shoved underneath a bunk, renting an Airbnb can mean more space to relax together. It can mean taking a luxurious bubble bath, or sipping wine together on your private balcony while soaking in the city below. When you stay in an Airbnb together, you get to experience a taste of local life. 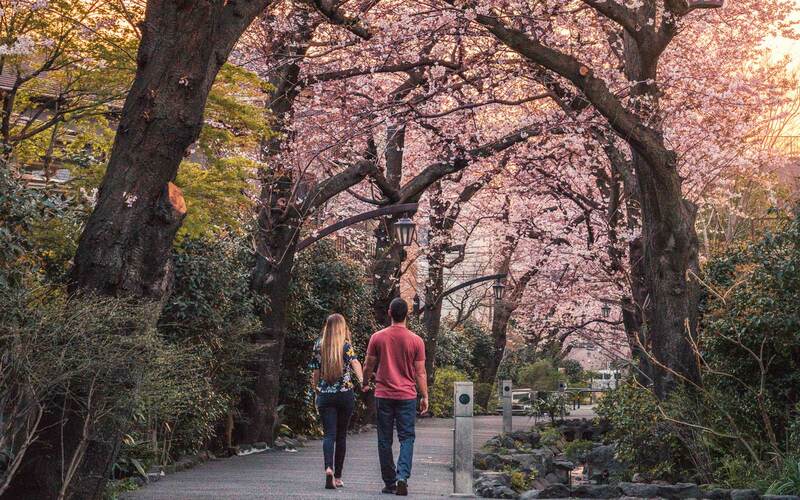 It offers unique experiences that help you connect to the city you’re in, and each other. Renting a flat together in Paris or Tokyo will unite you as you navigate grocery shopping in the local language, or go out for a beer with your host. (Plus, your host is usually a great source of suggestions for the best local food places to try or lesser-known places to visit!) It’ll take you both beyond the tourist sites and your comfort zones, to a place where all you have is each other. Traveling is a great way to connect as a couple, but you’ll want a great space to do that in. You’ll want a terrace to sip coffee on as you plan out your day together, or a huge bed to sink into after exploring. That’s why Airbnb has it advantages. From saving money to luxuriating in the extra space, it can be the perfect stay for travel couples on a budget. 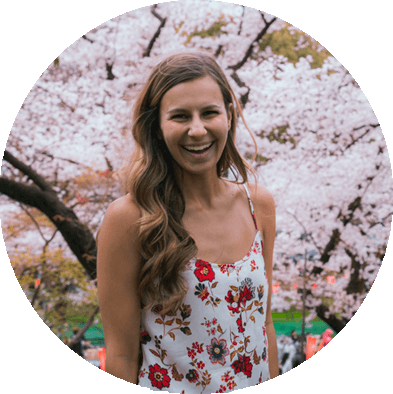 Devon Costantine is a writer, full-time traveler, and the founder of Creative Travel Couples. She’s been traveling the world for over a year with her boyfriend, Stephen @barnadrift. Follow along with their adventures! Receive exclusive travel tips, guides & more! I have an important question more than a comment. I LOVE your blog and instagram by the way! In a couple of weeks, my boyfriend and I will be visiting Japan, and while we’re not great with a camera, he wants to take a few pictures. We loved your photo with the Osaka Castle in the background (this post: https://goo.gl/23V335), and he wants to take a photo of him sitting on this ledge as well, because the image reminds him of his favorite movie: Spirited Away. I understand this is your hard work, but would you by any chance be willing to share the exact location of this spot that you are sitting at? For privacy, you can just DM me through my email, which I’ve provided in the ‘e-mail’ section of this comment. We tried searching everywhere online for this spot you’re sitting on and I even examined Google Maps, but no luck ): So I thought I’d surprise my boyfriend by taking him to this spot during our vacation so he can have his photo and to enjoy this stellar view of the castle. If you are willing, could you email me where you were/sat for this photo? Thank you so much for your time!